County planners have tentatively scheduled the next round of public input meetings for their ongoing review of the county comprehensive plan for June. 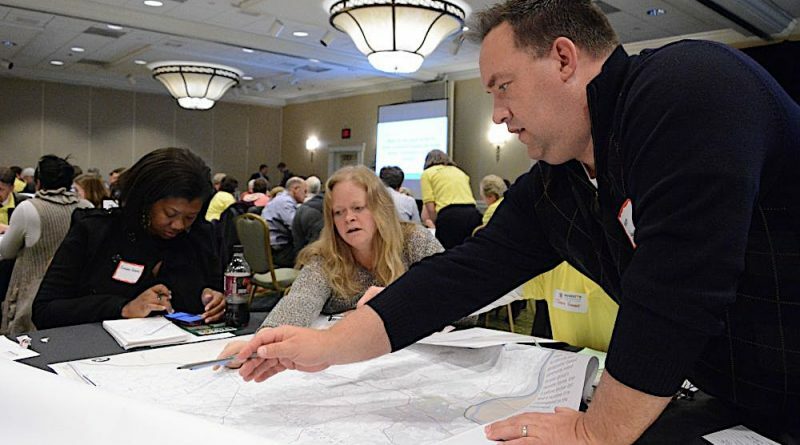 The first round of Envision Loudoun input included six workshops. The county had originally scheduled four, and added two more after a strong showing at those meetings. One member of the stakeholders committee that is guiding comprehensive plan work, Tuscarora High School teacher Wendy Yacoub, also helped organize a day of input from high school students. Hundreds of people turned out to give their views on the county’s future community development priorities, and the county tallied more than 900 people at in-person sessions and more than 500 people giving their thoughts online at envision-loudoun.com. A database of the nearly 5,000 ideas recorded during those meetings and the online input, collected by county planners has been organized and made available by the Loudoun Preservation and Conservation Coalition on its website. Staff members have shaved those six meetings down to five in this round, saying the final meeting during the last session at the Dulles Airport Marriott saw fewer people than the other meetings. That area, they said, is well served by meetings in Sterling and Dulles. Thursday, June 15 at Mercer Middle school in Aldie.